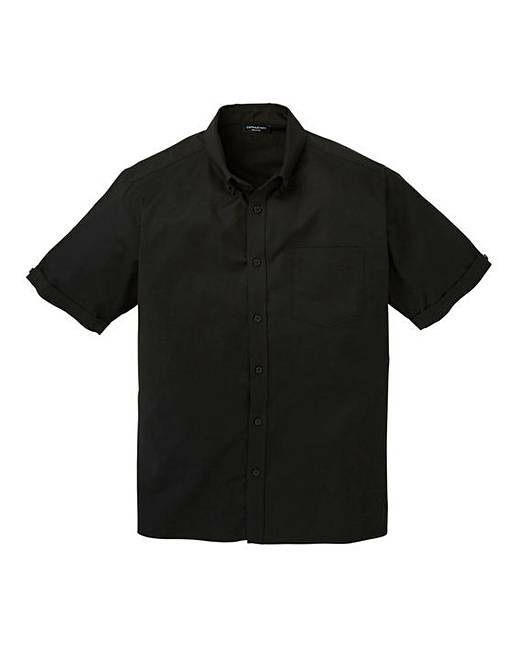 Black Short Sleeve Oxford Shirt Long is rated 4.9 out of 5 by 10. 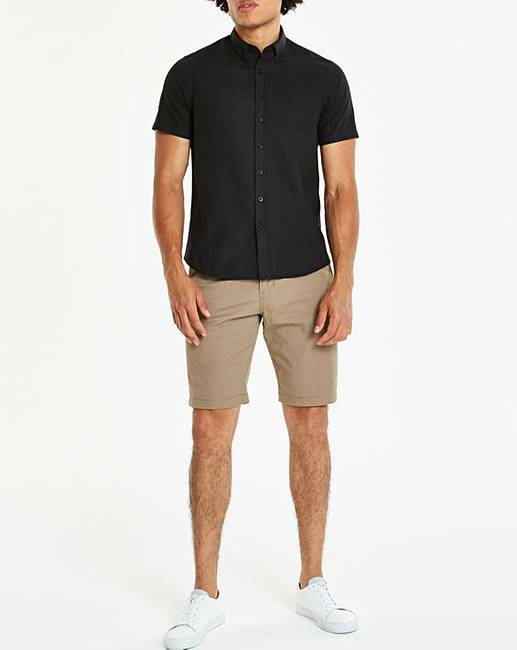 Short-sleeve Oxford shirt with button front, button-down collar, single breast pocket and a shaped hem. Model is wearing: XL/Regular Length. Rated 5 out of 5 by Scotty from Quality product Real good quality and excellent fit.nice material and has washed really well. Arrived really quickly. 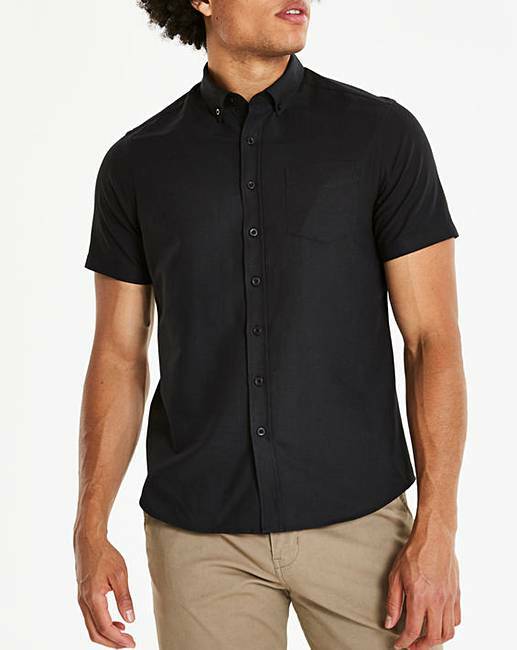 Rated 5 out of 5 by Mojohn from Oxford Shirt Good quality Oxford Shirt, the quality of more expensive Shirts. Rated 5 out of 5 by Jacko from Oxford shirt I tried Jacamo as I was having trouble finding shirts in my size. Im glad I did this shirt was great quality and delivery was quicker than expected. 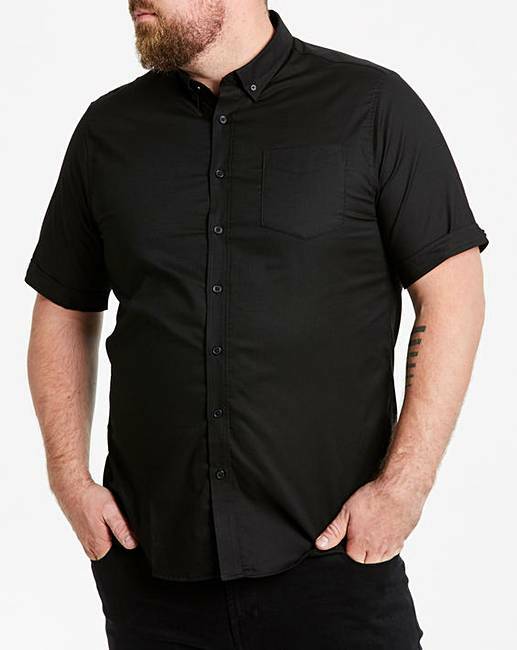 My only tip is Jacamo are very generous in their sizes and I probably could have done with a size smaller compared to High Street Stores. I will definitely shop at Jacamo again. Rated 4 out of 5 by Malarkey from Smart buy Good quality shirt that is smart and a good fit (plenty room around the middle). However, the shirt has a tail front and back, not the straight horizontal bottom that appears on the site picture.